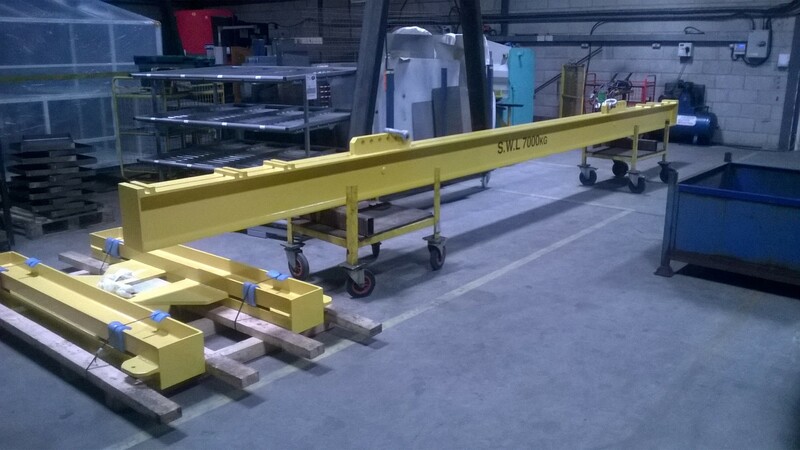 The Lifting Beam for Lifting Gear and Stillage has been designed and manufactured for a client operating within the rail industry. The lifting beam was required for use when carrying out service, maintenance, repair, overhaul and upgrades to rolling stock. The solution has been designed to lift a range of Lifting Gear and Stillages with varying lengths and a max weight of the complete stillage of 6800KG. The beam has been painted in Safety Yellow BS 08 E 51 to provide a hard wearing durable finish. Approximate overall size: 2020mm (W) x 7840mm (L) x 800mm (H).